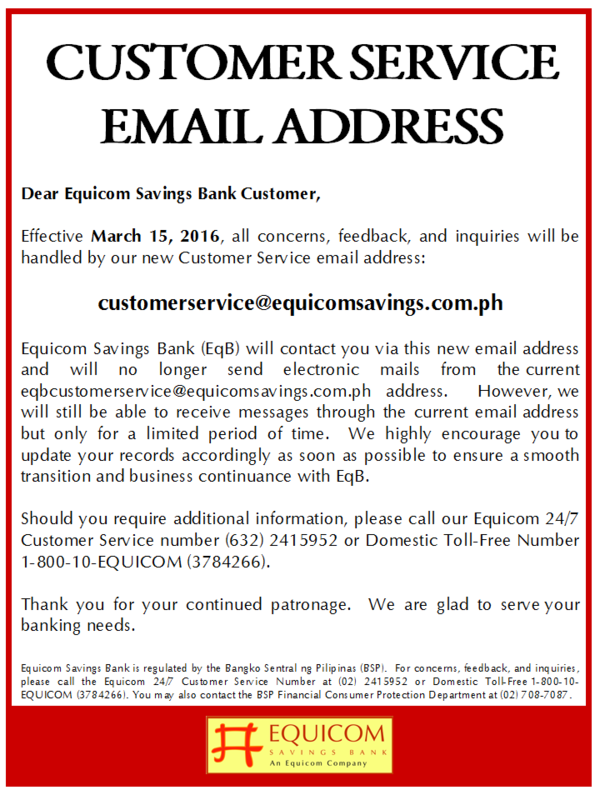 Promo period is from October 18, 2010 to January 31, 2011. 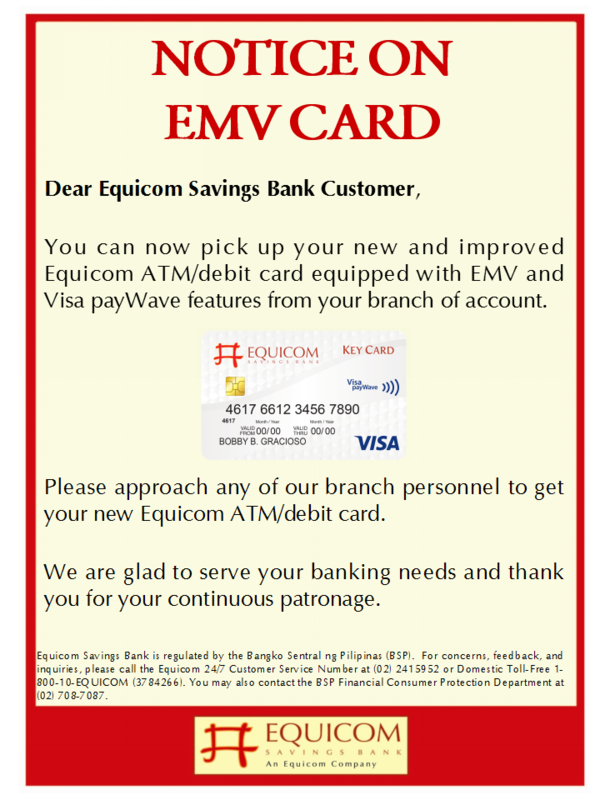 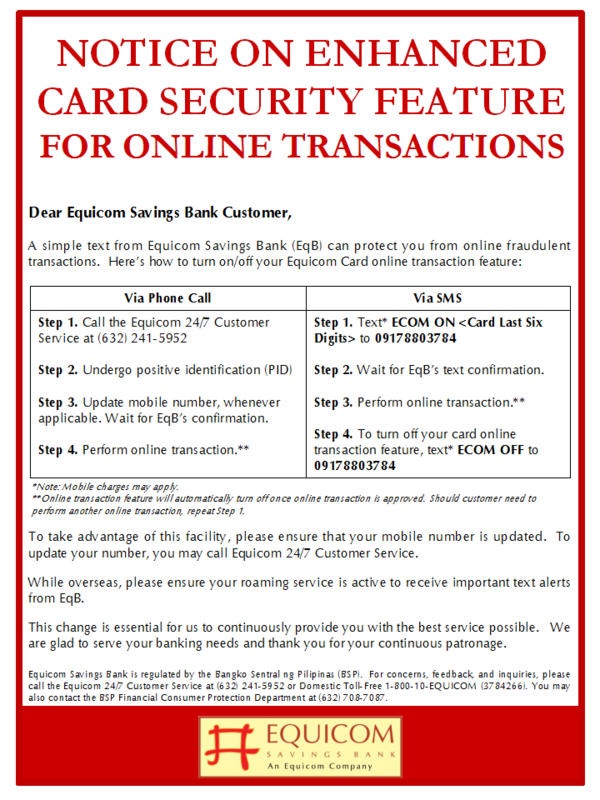 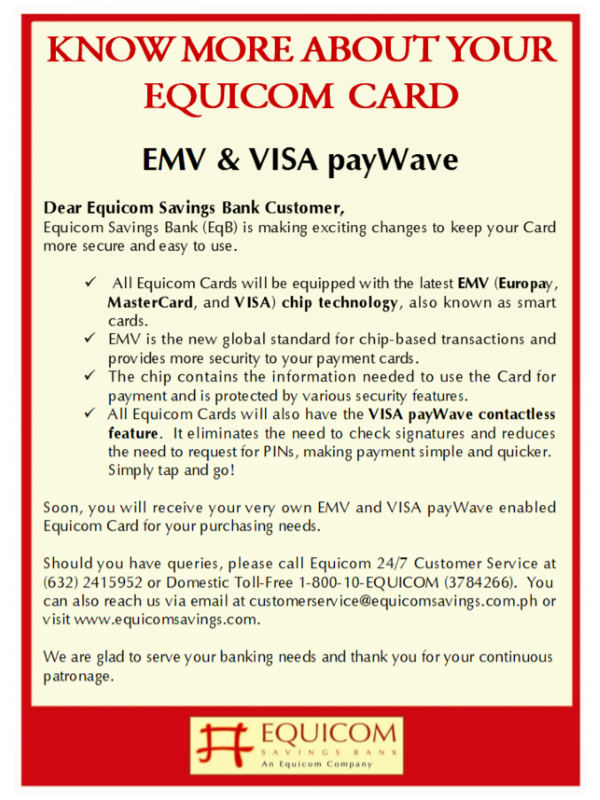 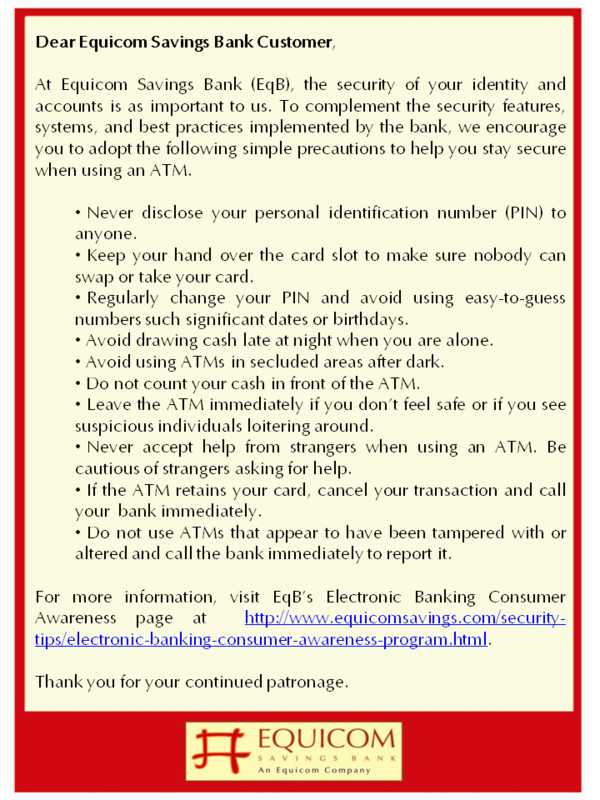 This Promo is open to new Equicom credit cardholders whose cards are to be issued from October 18, 2010 to January 31, 2011. 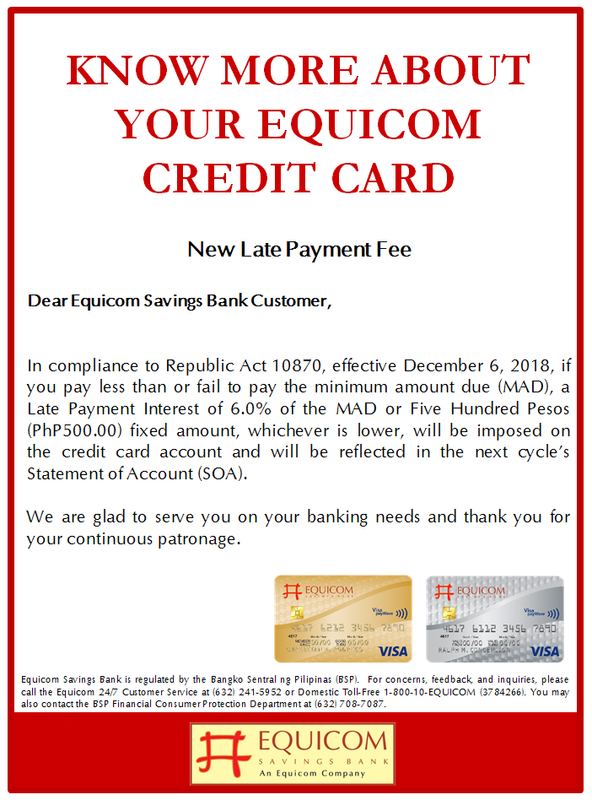 To earn the one-time P300.00 rebate, the Principal and/or Supplementary cardholder/s should have at least P8,000.00 single or accumulated spend on their Equicom Credit Card within two months from issue date. 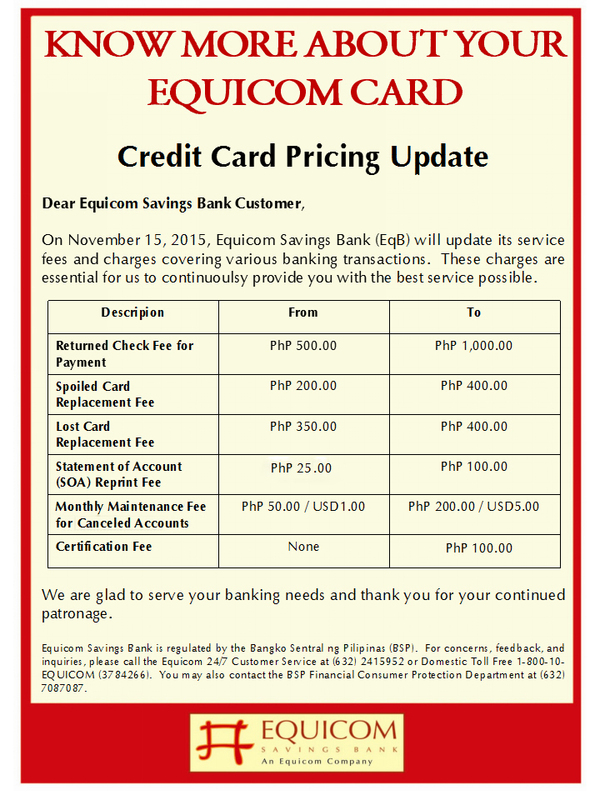 Valid spend will include all posted retail and/or installment transactions. 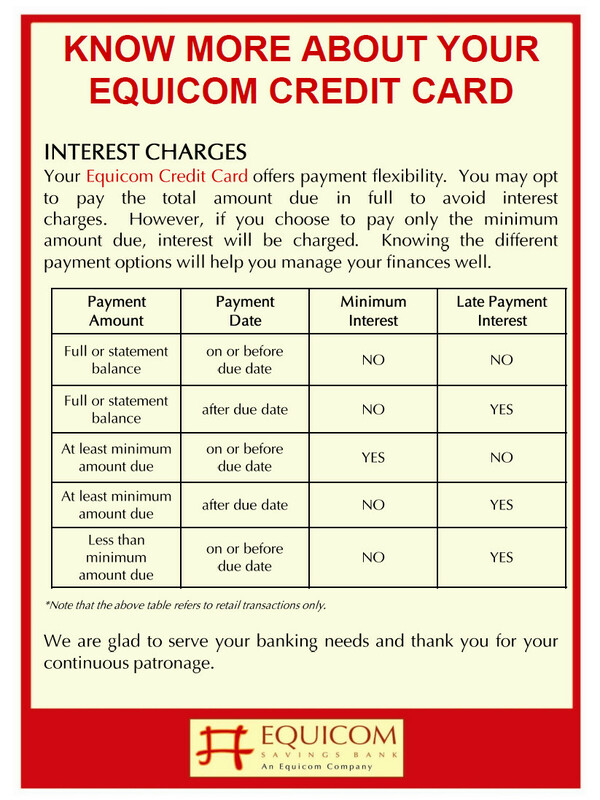 Cash Advances, Balance Transfers, Finance Charges, Annual Fees and other fees and charges will not be considered as valid spend. 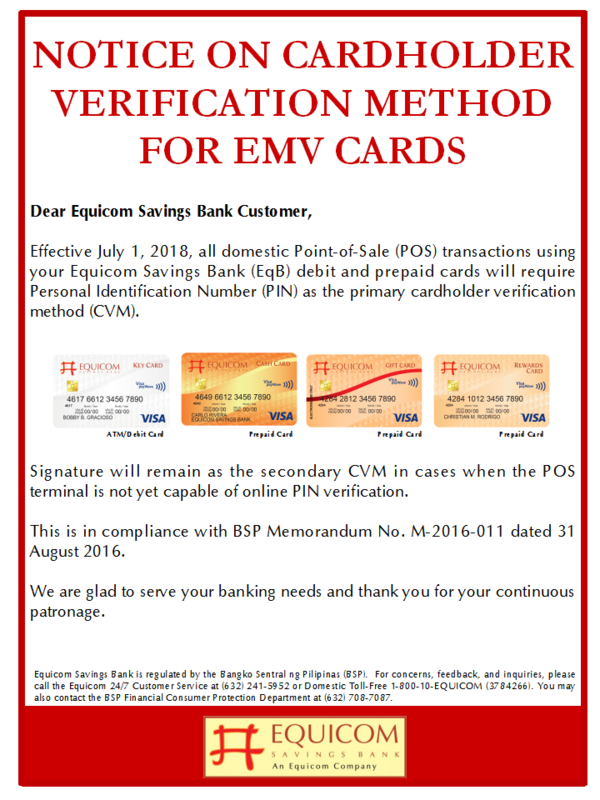 In the event that the Principal cardholder cancels his/her Equicom Credit Card within 12 months from issuance or if the transactions are invalid or fraudulent, the earned P300.00 rebate will be charged to his account. 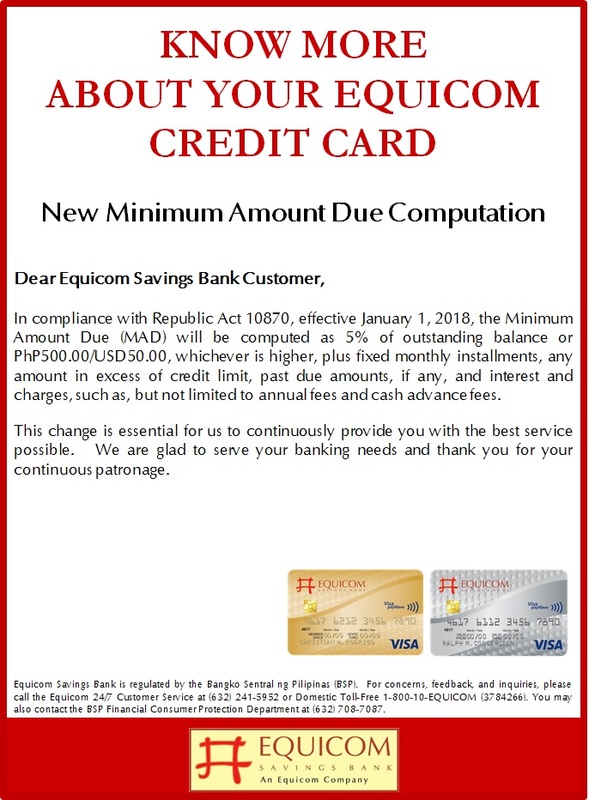 The P300.00 rebate will be credited to the Equicom Credit Card 30 days after the promo provided that the account is active and not suspended or cancelled. 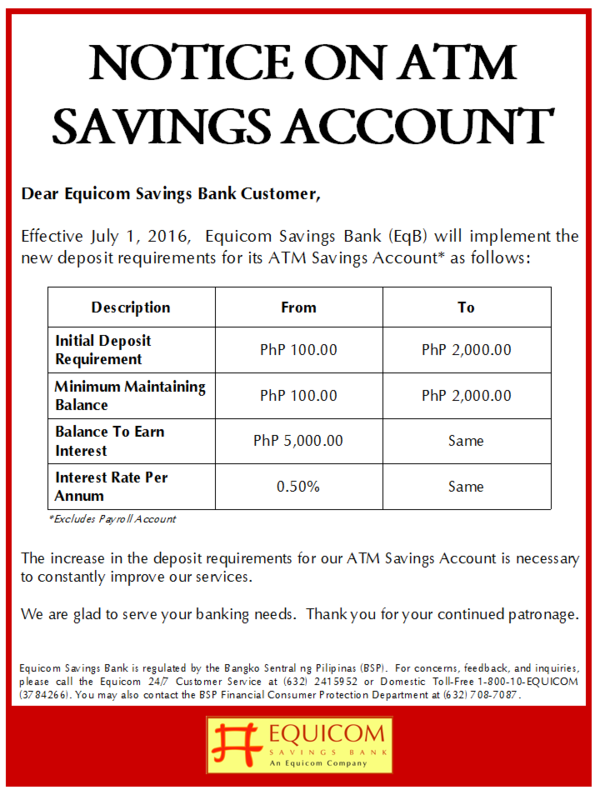 The initial P8,000.00 usage will also earn Key Points Rewards points. 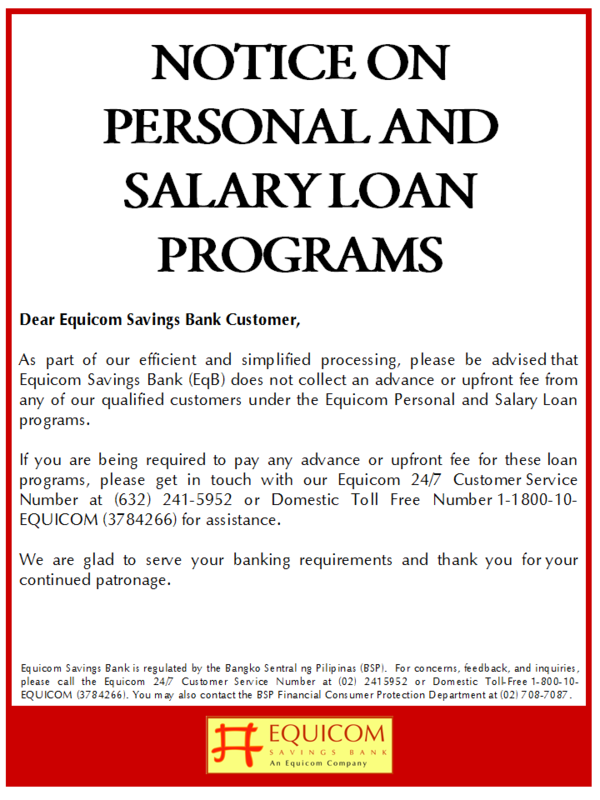 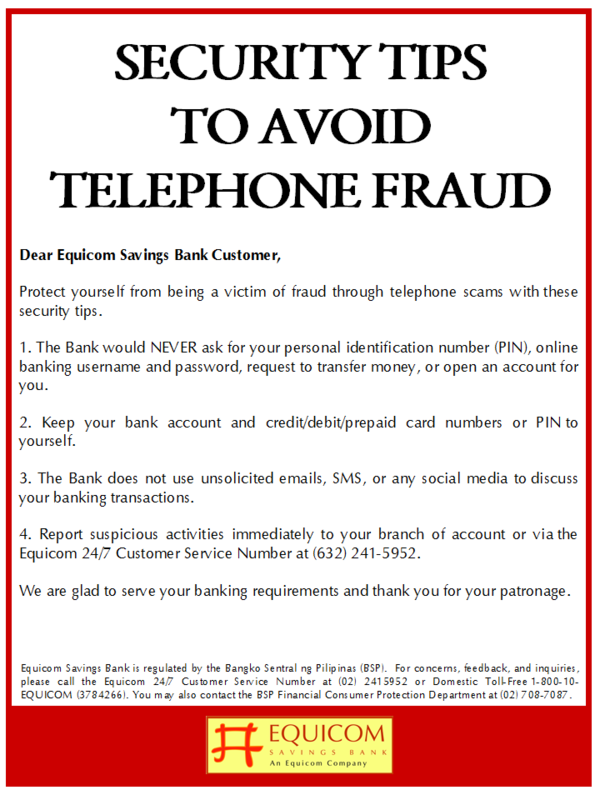 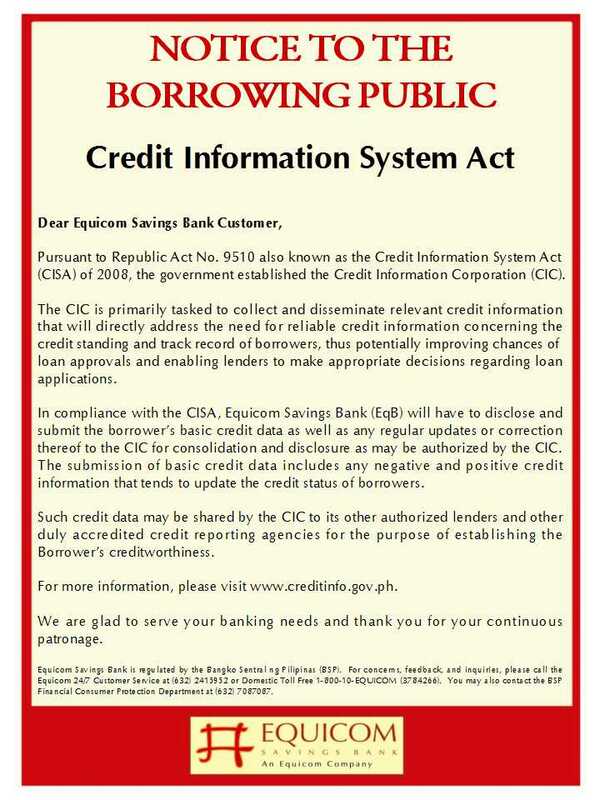 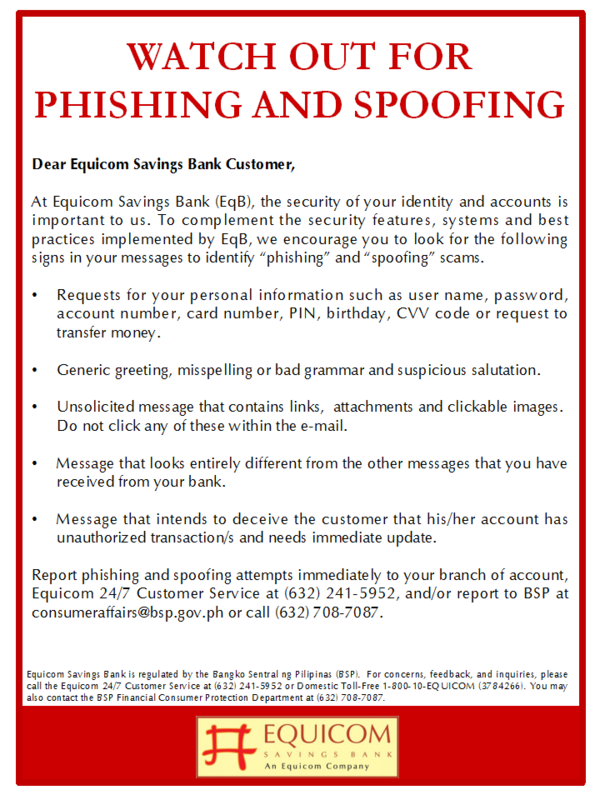 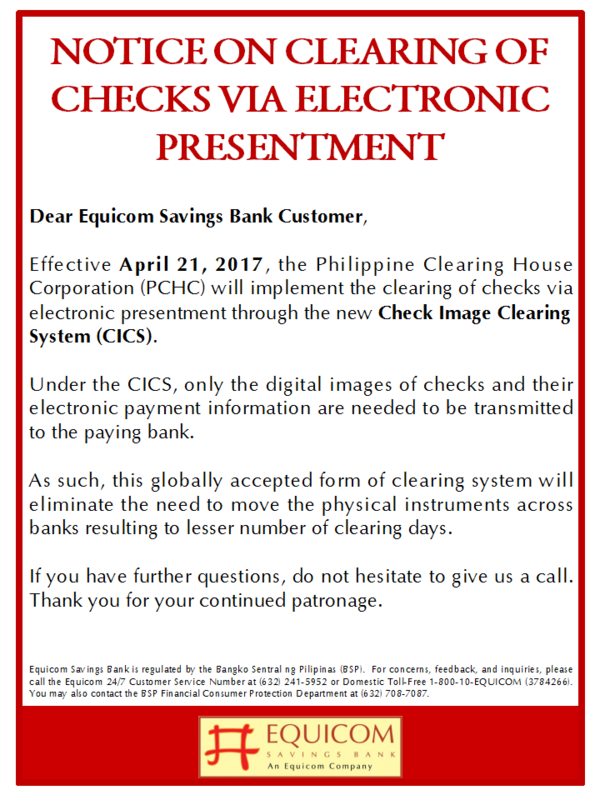 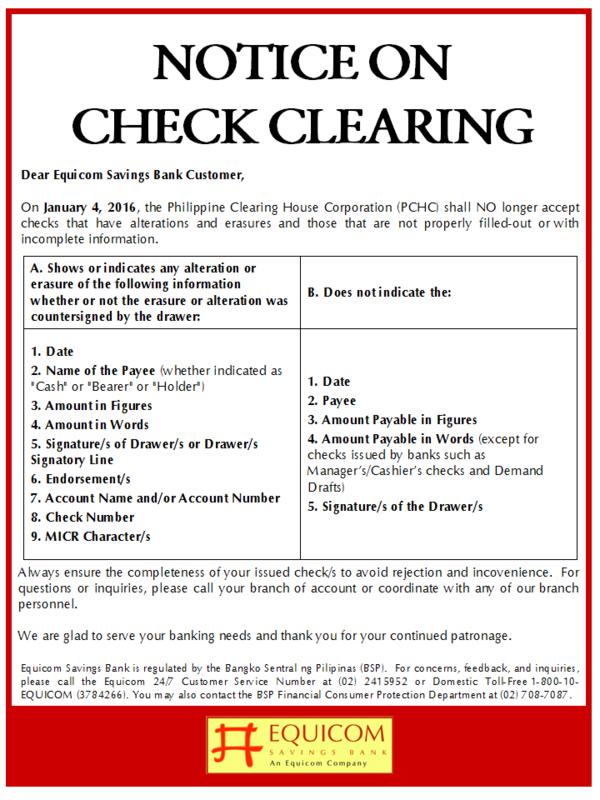 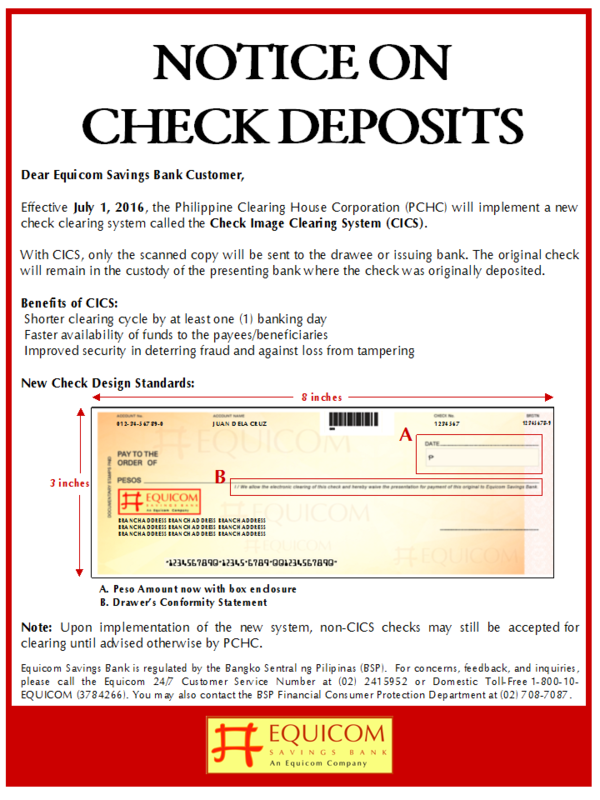 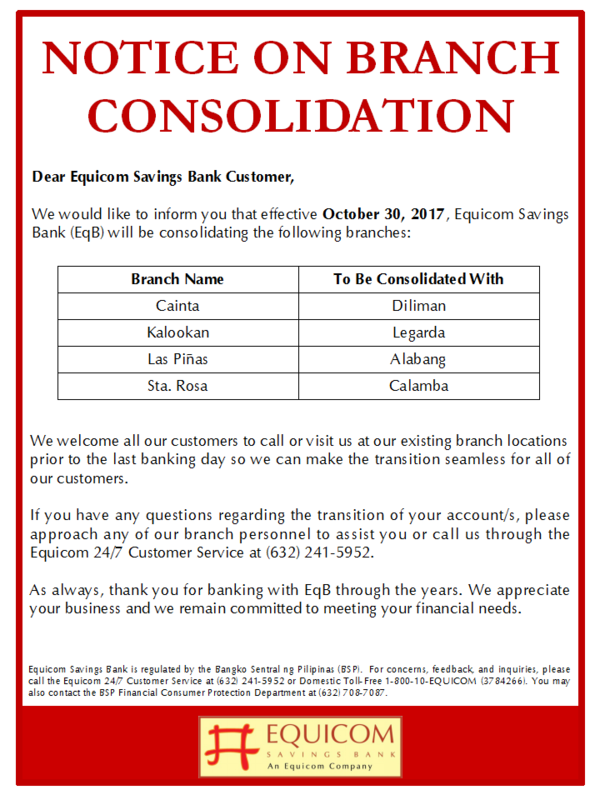 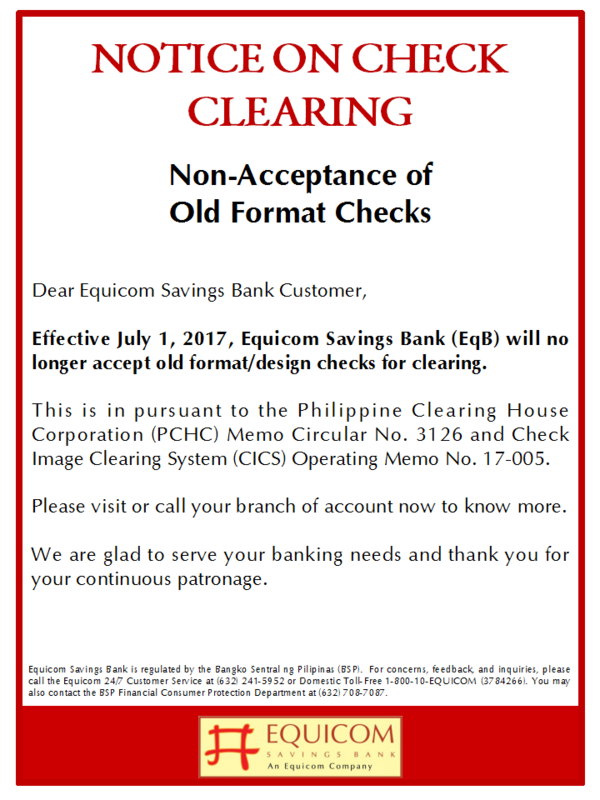 In case of disputes, decisions made by Equicom Savings Bank regarding this promotion are considered final with the concurrence of the Department of Trade and Industry (DTI). 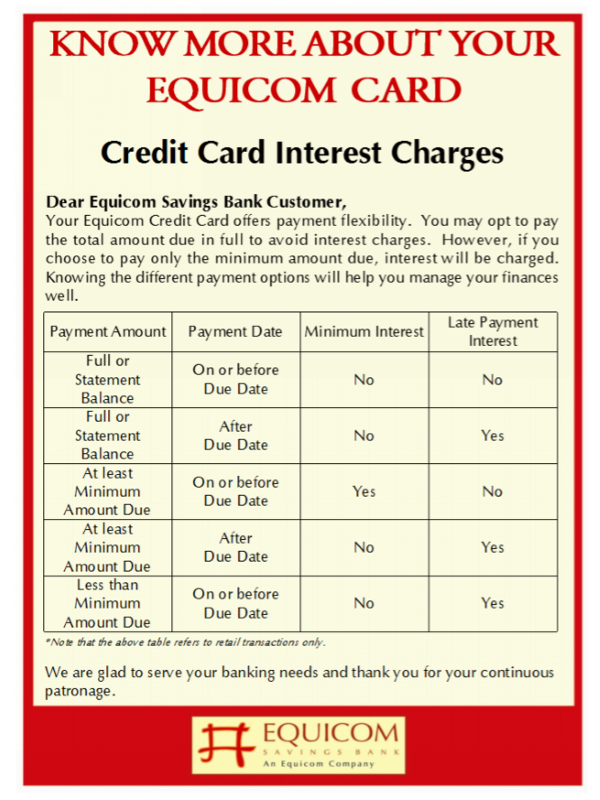 Offers cannot be used in conjunction with other promotional offers.